There have been too many holiday seasons when I wanted to skip December all together. I felt pressure to be happy and I just wasn’t feeling it. Are you dealing with transition, loss, betrayal, divorce, sadness, loneliness or strained relationships? Are you dreading the drama? Are you wondering how you are going to make it through? I’d like to invite you to a Saturday morning workshop designed to help you navigate the holiday season with greater peace and joy. 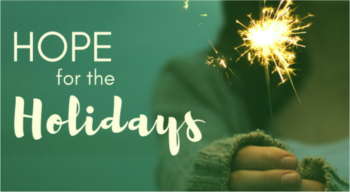 I believe you will leave with tools and strategies that will bless your life this holidays season!